Several decent video editors are available on the Linux platform. Kdenlive, OpenShot, Cinelerra and Pitivi are those that come to mind as "big players" in an admittedly small market. I've used them all through the years, with varying levels of success. A frustration of mine is that invariably, I end up using a proprietary video editing suite like iMovie or Final Cut Pro when I have to do a larger project. As an open-source enthusiast, that doesn't settle well with me. Although I'm honestly not sure Pitivi is the best choice for Linux-based video editing, I truly can say that its current fundraising push is impressive. The "kickstarter" concept is old hat by now, but that doesn't mean a well-planned campaign isn't still a great idea. The Pitivi team is trying to raise enough money to put serious coding time into the program and get to the 1.0 release. That's only the first step of the journey, however, because after the solid 1.0 foundation is complete, future features will be added according to contribution and user-base voting. 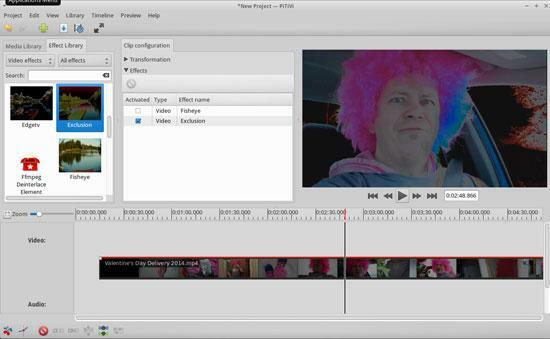 I'm confident to say that Pitivi is currently a great choice for video editing on Linux. If the fundraising campaign works out well, it soon may be the clear leader in stability and functionality. Thanks to the combination of an incredible product plus a game plan to get even better, Pitivi is this month's Editors' Choice. If you want to be a part of Pitivi's future, check out the fundraiser page at http://fundraiser.pitivi.org. If you want to test the program itself, you can download it today for your favorite distribution at http://www.pitivi.org.